Okay, guys. I'm actually buzzing with excitement while writing this. For the first time ever, we're doing a ROUTE 26 PRESENTS show!!! And I actually couldn't be more thrilled with the artists coming to present their gorgeous gorgeous gorgeous music. I've written about The Lifers before. Anita and Liv Cazzola front the band, and their sisterly bond shines through so brightly in ethereal harmonies. Rich and emotive instruments like accordion, cello, and electric guitar flesh out the music into dense and passionate pieces. Throw some hard-hitting rhythms and tight unison into that mix, and you'll find that they're truly a sight to behold on stage. 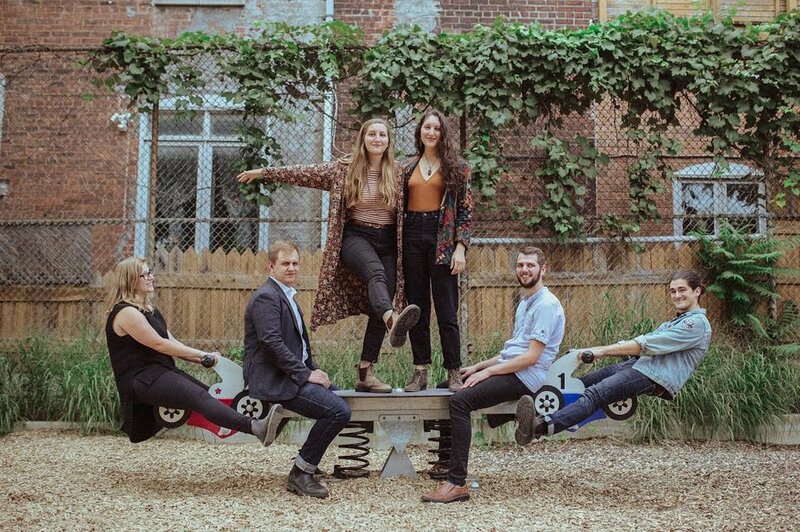 That energy translates more than ever in their new album, Honey Suite, with each song bringing you deeper into their loving, compassionate, musical world. I really cannot wait to see them in action at Simcoe Street Theatre, on Sunday, June 3rd for a summery evening show. AND AND AND...Special guest Benjamin Dakota Rogers (who blew me away at the Collingwood Art Crawl last year) will be opening!!! This is an UNMISSABLE show. GET YOUR TICKETS HERE (Limited Space Available) WHILE THEY LAST!!! Liv and Anita were kind enough to answer some questions for me and share some insights into their beautiful bubble. LC: So so so excited to share the beautiful music of Honey Suite, your sophomore album recorded in our neck of the woods at Wildlife Sanctuary Sound! Has the album been a long time in the works? Anita: Thank you! We are so excited too - it’s been almost two years in the making, so we are itching to get it out finally! Our Collingwood show will be exactly one year after our recording process finished at Wildlife Sanctuary Sound. After that, of course, we recorded other parts in various studios around Ontario, but the bulk of it was done at Wildlife. It was so nice to spend 8 days up in this neck of the woods, creating basically non-stop! LC: Who does the songwriting in the band and what’s your process like? Liv: Anita and I usually start writing our songs individually, before sharing it with each other to get feedback, and crafting and arranging it the two of us. Once it’s feeling more solid, that’s when we bring our vision for the songs to the band. It’s pretty amazing how our songs come to life with this process. Even though Anita and I might have certain sounds in mind to begin with, we don’t limit ourselves to those thoughts and stay open to everyone’s ideas as we go. LC: What made you choose Wildlife Sanctuary Sound and how was your experience? L: When we choose a space to create in, it’s important that we feel totally comfortable and inspired. For us, that has a lot to do with well-loved equipment and instruments, daylight, and access to nature. Wildlife checks all of these necessary boxes, and aligns with our intentions for gender parity in choosing collaborators, beds/couches for all of us to sleep comfortably, and access to a kitchen and dining room. Sharing meals was one of the most important things we could have done to stay grounded, connected and open with each other, no to mention thanking our bodies with nutritious and delicious food! A: It was so lovely to use the instruments that ‘live’ at the studio. It ties the space into the album’s sound even more! It definitely inspired three of our band members (myself included) to purchase similar instruments after leaving the studio! We just loved how they worked with the music, and just had to keep that going. LC: There seems to be a deep familial theme to this album, particularly with your second single “Sister”. Can you both comment on how it’s been working and growing your artistry as sisters? L: It’s definitely been a challenge to balance our relationship as sisters with our musical lives. Our schedules are always in flux, between Anita’s time in school at OCAD and my time with my other band Tragedy Ann, which stretches our time spent together quite thin. I have no doubt that our commitment to keep all aspects of our relationship strong has brought our hearts way closer, and we’re constantly learning about balance. During our more challenging times, we tend to write about it - just like you mentioned, with our single Sister. Whenever we get to sing that song, it’s such a grounding reminder of how important we are to each other, and what the strength of our sisterhood brings to our creativity. A: It is so amazing to be able to partner with Liv on this! Our non-musical skills really compliment each other well. Liv having the business brain, me with the art brain, and both having the creative musical brain - it’s really the ideal combination! It’s also interesting to see how we’re able to push each other to be better at our craft. Not that there’s any kind of sibling rivalry going on. It’s more a case of “Hmm… Liv can do this REALLY well, I wonder if I can too?” or “How might I approach this differently that Liv to unfold another layer of our musical adventure?”. It’s also amazing to experience very unrehearsed moments where we instinctually fall into the right harmony pockets - this freaks other people out sometimes, but I think it’s fun! Various merch from The Lifers. LC: You guys seem to really have your branding sorted. Everything you post is beautiful and all has the same sort of vibe. How do you keep it all consistent, and what style(s) or theme(s) do you try to keep in mind? A: Thank you! What a lovely thing to hear. I create all of our artwork and visual content. I think it really helps to have it all come from not only one person, but a person in the band - that’s the closest connection you can get to understanding and connecting the sonic and visual aesthetics. Coming from a visual arts background, I am hyper-aware of how visuals affect a viewer. I think the visual consistency it is partially a practical effort, so that when people see some of our content, it immediately ‘clicks’ that it is us. It might just be my subconscious instincts that prompt me to do things in certain ways. I also really like the idea of creating a community feeling in all that we do, and in ways, visual consistency is part of that! It’s like creating a cozy home atmosphere for our ‘virtual visitors’! And for our real-life visitors, they can take home a part of the feeling that they get at the shows with our merch. LC: What’s new on this album that you’re really eager to share with listeners? A: I am really proud of our vocal performance on this album - all thanks to our producers, Jojo Worthington and David Worthen, being patient and encouraging, yet pushing us beyond our perceived limits. There’s also an amazing little flute and clarinet arrangement in the tune “New Eyes” that our drummer (and multi-instrumentalist extraordinaire!) whipped up during a session in August. The extra-sweet part of it is that the flutist (Emily Steinwall) and clarinetist (Virginia MacDonald) are best friends (something we didn’t know until we were with them in-studio!). I love that they have a moment to shine together on this song! L: We were much more adventurous with sound creation - both digital and acoustic - on this album, than I’ve personally ever been before. My favourite contribution to this album was hooking up my singing saw, through some distortion and reverb, into our electric guitarist’s amp. I created some pretty darn wacky sounds that day, and I love what it added to the songs it’s featured on. We also got to mess around with the innards of the upright piano at Wildlife, which sound so amazing. In terms of lyrics, we are sharing some really personal content, about our experiences, opinions and values - it feels really good to be so open about things like mental health and environmentalism, and I hope it’s a way for our listeners to feel a deeper connection with us. LC: You’re touring Europe this summer! What are you most excited for? L: I am most curious about Norway! We’re playing the Egersund Visefestival - Norway’s oldest folk festival, thanks to a chance encounter at the Dakota Tavern in Toronto this past fall, and I imagine there being a lot of really amazing things we’ll learn from the locals and other musicians. Plus, I can’t wait to go on some hikes and explore the beautiful areas between our concert dates! A: I second that! I am also excited for the long drives in the car so I can work on knitting some socks! LC: What’s your secret to living the lives of touring musicians? How do you make it work? Is there a band mantra? L: Our "Lifers ethos" is to spread love and kindness to others and to the Earth, through our music and our actions. We always aim to empower our listeners to adopt these intentions. As long as we do that, I think we can embrace touring life as best we can! A: Kindness, kindness, kindness - it all comes down to kindness! LC: I know you’ve played in this area around Georgian Bay quite a bit and regularly book shows up here. What do you love about this area? A: Our family’s cottage is up on Colpoy’s Bay, so we spent a lot of time in this area in our childhood and teenage years. There’s something that happens once we get closer to the water - I breathe more deeply and am able to approach things at a much slower pace. The more time I spend away from here these days, the more I realize I really need it! Another really special thing about this area is that our first album, “Out and In”, was recorded at the cottage. Again, we spent 8 days holed up in the cottage, pouring all of ourselves into creating. While everything around us slows down, I feel like we are able to connect so much more to what we are doing in the present moment. Liv and Anita Cazzola, thank you so much for letting us peek under the roof of your creative fortress! 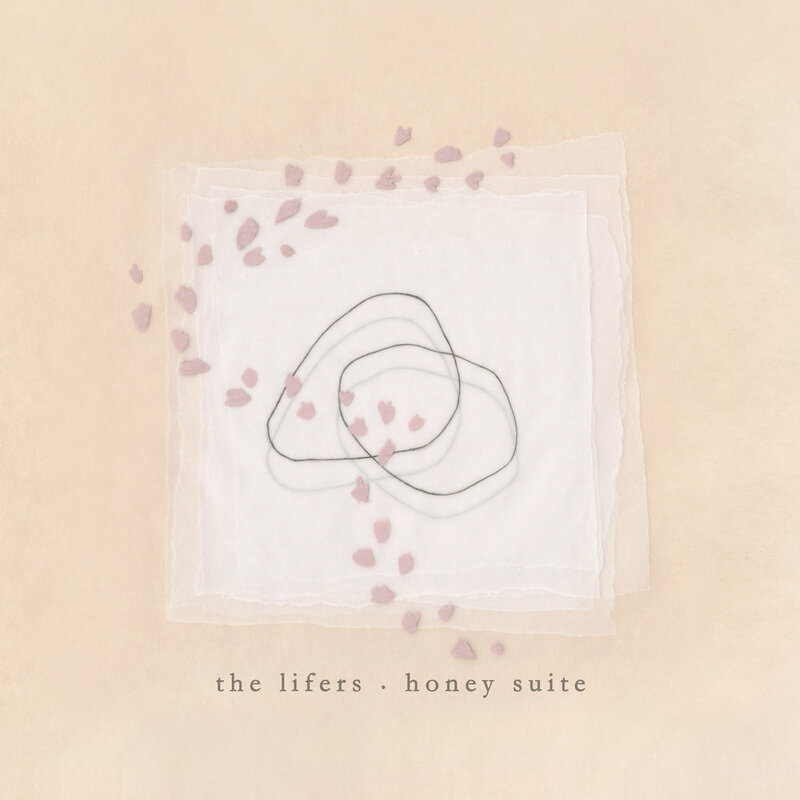 Honey Suite is a rich, layered, and powerful folk rock album, and the sisterly bond that you two share comes through so passionately in this music. I seriously can't wait for Sunday, June 3rd because I know this is going to be a phenomenal show!! !